This database is the latest step by the Virginia Historical Society (VHS) to increase access to its varied collections relating to Virginians of African descent. Since its founding in 1831, the VHS has collected unpublished manuscripts, a collection that now numbers more than 8 million processed items. Within these documents are numerous accounts that collectively help tell the stories of African Americans who have lived in the state over the centuries. The database seeks to lift from the obscurity of unpublished historical records as much biographical detail as remains of the enslaved Virginians named in those documents. In some cases there may only be a name on a list; in others more details survive, including family relationships, occupations, and life dates. Unknown No Longer does not contain names that may appear in published sources at the VHS or in unpublished sources located in repositories other than the VHS. On the other hand, those whose names appear in the database need not have lived their lives solely in Virginia, for our collections contain plantation records, for example, kept by Virginians who moved to other states, taking their slaves with them. In addition, if we know that an individual named in a post-Civil War document had been enslaved before 1865, his or her name will appear in the database. It will take years to scour the millions of documents likely to contain the names of the enslaved and so Unknown No Longer has been launched as a work in progress. With the launch there are already more than 1,500 slave names in the database. Editor’s Note: Also check out the VHS Guide to African American Manuscripts, http://www.vahistorical.org/aamcvhs/guide_intro.htm. 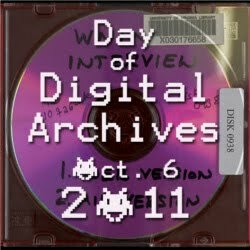 A week from today (6 October 2011) is the inaugural Day of Digital Archives. The Day of Digital Archives has been created to raise awareness of digital archives among both users and managers. By collectively documenting what we do, we will be answering questions like: What are digital archives? Who uses them? How are they created and managed? Why are they important? For more information on the project, read the inaugural blog post. Do you create, manage, or use digital archives? Would you like to participate? Well then, drop me a line at gretchen[.]gueguen[@]gmail[. ]com with your contact info and I’ll add you to the list! 1. Create a blog post at http://dayofdigitalarchives.blogspot.com/ for the 6th of October (rather that writing it on October 6th, you can pre-write it to automatically post on the 6th as well) talking about some aspect of your work with Digital Archives on that day. It could be a really specific exploration of a single activity on that day. Or it could be a broader topic not really related to that specific day (What kinds of tools you could really use to process a born-digital collection). 2. Write a post to your own blog similar to that described above and post a trackback to the Day of Digital Archives blog or let me know and I'll post a link to it. 3. Tweet throughout the day about your work with digital archives using the #digitalArchivesDay hashtag. As genealogists we know that many of us “travel” to where our ancestors lived and to the repositories where we might learn more about them. “Does your family have a connection to Oklahoma? Then take a journey of self-discovery and trace your family tree while connecting with the people, places, culture and landscapes that helped shape your ancestors. Genealogy is the fastest growing hobby in the United States and as individuals across the nation catch the fever and begin researching their ancestry, many find that the road leads to Oklahoma. Home to 39 Federally recognized Indian tribes, countless waves of pioneer settlers and the genesis of the great Okie migration during the Dust Bowl days, Oklahoma holds the keys to unlocking many family histories. Does your state tourism bureau have resources to help genealogists? If so, please let us know! Digitalkoot is a joint project run by the National Library of Finland and Microtask. Our goal is to index the library's enormous archives so that they are searchable on the Internet. This will enable everyone to easily access our cultural heritage. You can help us by playing games. Playing games in Digitalkoot fixes mistakes in our index of old Finnish newspapers. This greatly increases the accuracy of text-based searches of the newspaper archives. What a way to try and produce error-free digitized newspaper content – playing fun games! 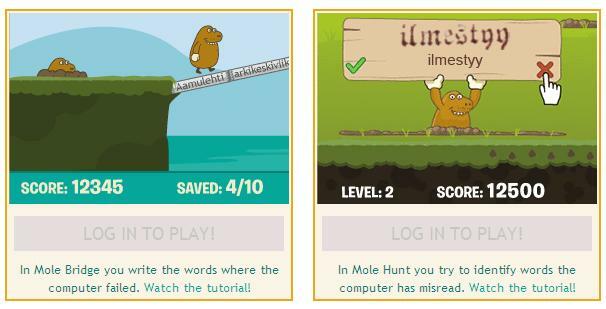 If you have some familiarity with Finnish or Swedish or any other languages one might find in Finland’s archives, you might want to try your hand at these games! Editor’s Note: Similar in its purpose of helping to digitize content and different in its approach on achieving this is ReCaptcha. There is a chance that if you have made an online purchase, joined an email list or done some other activity where some level of security is needed and you’ve been asked to type in two words, you have already been helping to digitize books! “Before you dive into the details of this web site, I suggest you download my free Guide. I describe and compare the major DNA test types. Then I explain their purposes, strengths and limitations in a unique table that you will not find anywhere else. 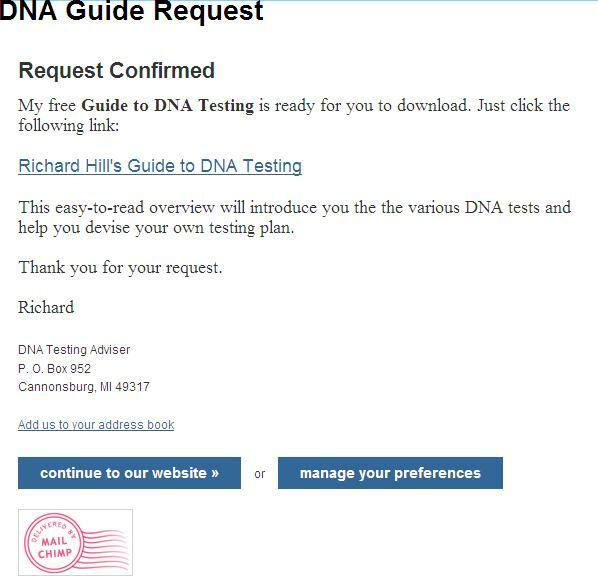 This Guide provides the high level overview you need to put the various DNA tests in perspective. Just click the title below to reach the download page. 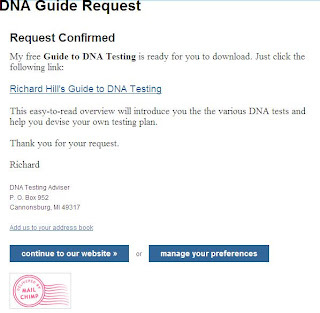 Besides the mentioned guide, there are many many pages of useful information on the website with regards to various aspects of DNA testing. Editor’s Note: you will need to provide an email address and then confirm that e-mail address. Once you have done that, you will see this confirmation page. If last month you were following the news about Google +, Google Maps and many of the other Google services and their latest and greatest features, the bit of news about the final chapter of the Google News Archives may have escaped your notice. The U.S. Department of the Interior (DOI) has created a website to help guide you in tracing your Native American Ancestry. · Ancestry - General statement on tracing your American Indian ancestry for purposes of enrolling in a federally recognized American Indian tribe. · Genealogical Research - Provides general information as to where individuals can look in order to find the appropriate information they need to support their effort. · Enrollment Process - Provides a general description on what the Enrollment Process to a federally recognized tribe involves. · Benefits & Services Provided to American Indians and Alaska Natives - Provides a general description on what benefits and services are available to American Indians and Alaska Natives. · Cherokee Indian Ancestry - There are three federally recognized Cherokee Tribes that have different requirements for enrollment in their tribes. · Dawes Rolls -The Dawes Commission was organized in 1893 to accept applications for tribal enrollment between 1893-1907 from American Indians of the Five Civilized Tribes who resided in Indian Territory, which later became the eastern portion of Oklahoma. The National Genealogical Society will be adjusting the pricing for its American Genealogy Studies courses. Effective 1 October 2011, the price for each course will be $45 for members and $70 for non-members. Until the end of September all courses will be available at their current rates. The current pricing ranges between $35-38 per course for National Genealogical Society members and between $50-$53 per course for non-members. Courses can be ordered online through the National Genealogical Society website at http://www.ngsgenealogy.org or by calling the NGS office at (703) 525-0050 x225. The early-bird registration deadline of Sept. 20 is rapidly approaching for the North Hills Genealogists' Fall Conference. The conference will be held on Saturday, 22 October 2011 from 9 am to 4 pm at Ingomar United Methodist Church, 1501 W. Ingomar Road, Pittsburgh, PA 15237. This new, larger venue will host a great program featuring Thomas W. Jones, Ph.D., CG, CGL, FASG, FUGA, FNGS, a well known author, lecturer, and researcher. 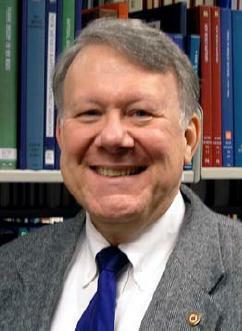 Dr. Jones is co-editor of the National Genealogical Society Quarterly, one of the premier scholarly journals in genealogy. His lectures will include "Solving the Mystery of the Disappearing Ancestor," "Inferential Genealogy: Deducing Ancestors' Identities Indirectly," "Five Proven Techniques for Finding Your Ancestor's European Origins," and "Organizing Evidence to Overcome Record Shortages." The conference registration fee includes a continental breakfast, hot buffet lunch, and door prizes. The early bird registration deadline is 20 September 2011. Parking is free at the conference which is located just 3 miles from the Wexford exit of I-79. Thomas W. Jones, Ph.D., CG, CGL, FASG, FUGA, FNGS, was awarded (9 September 2011) the APG Professional Achievement Award. The award, created in 2007, recognizes exceptional professional achievement and ethical behavior with contributions to the field of genealogy. Dr. Jones has served as co-editor of the National Genealogical Society Quarterly since 2002 and is a past APG board member and Board for Certification of Genealogists (BCG?) trustee and president. With more than forty years of research and teaching experience, he frequently lectures, teaches, and writes about genealogical methodology. He is an instructor for Boston University’s Genealogical Research Certificate program, Institute of Genealogy and Historical Research (IGHR), and the Salt Lake Institute of Genealogy.